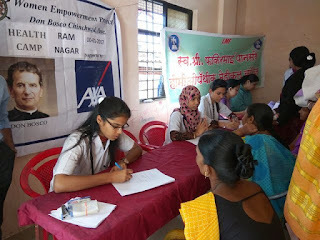 Chinchwad (Pune) 11-January-2017: Don Bosco in collaboration with AXA Business Services conducted a Free Health Camp for the women from the slums of Ramnagar in Chinchwad. 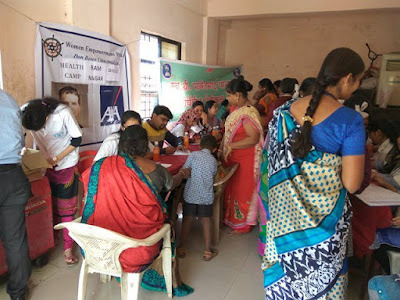 The health camp was organized in association with Lokmanya Medical College. 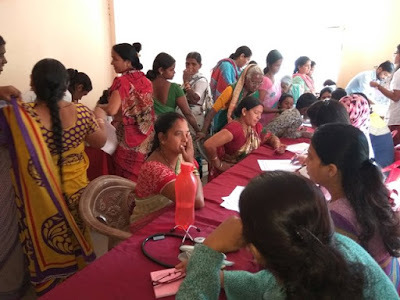 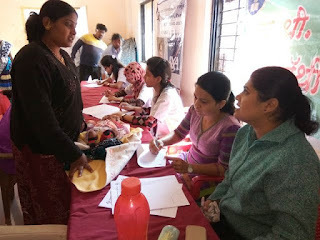 As part of the Women Empowerment Project that is presently running at Don Bosco Chichwad this health camp was organized; in which 65 women and children took benefit of the same. 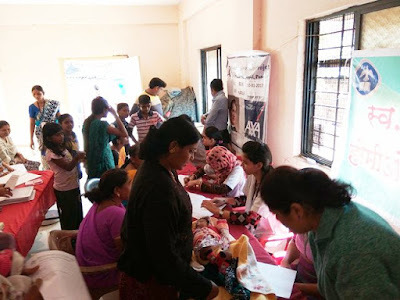 Dr. Amruta Bakshi (MD) and Dr. Vaishali Nandgirikar (MD) examined the women and children who attended the health camp. 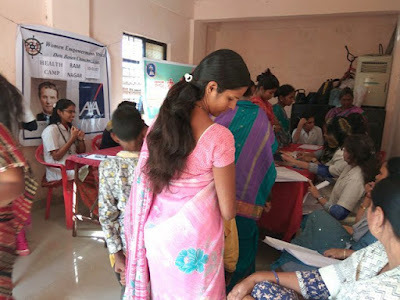 Doctors shared that they found cases of fever, cough, low HB and anaemia in children and women. 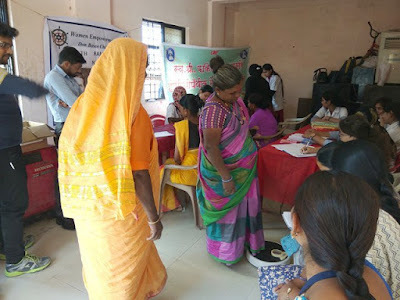 The possibility of the further treatment of those patients who need some serious assistance is also being considered by Don Bosco; in collaboration with Lokmanya Hospital. 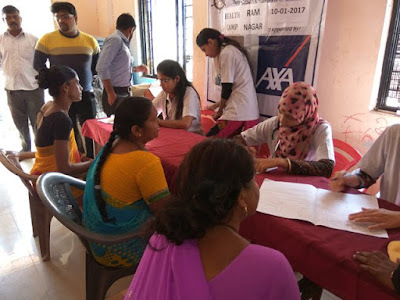 Mrs. Lalita Choudhary (Co-ordinator of the Project) thanked the Doctors from Lokmanya Hospital for their whole hearted support to the health camp. 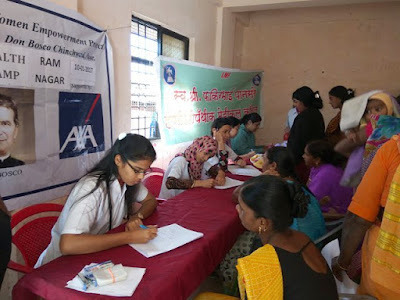 She also thanked her team and people for their overwhelming participation in the health camp.